The lead booker must be in attendance and photo ID checks will be made on entry into the venue. If the ID does not match entry will be refused. ID must be in its original form and not a copy. Failure to adhere the terms and conditions may result in the customer's order being cancelled. There are no exceptions to this rule. The SSE Arena, Wembley’s full terms and conditions relating to Ticket sales and admission (the “Terms and Conditions”) can be found at www.ssearena.co.uk and are available upon request from The SSE Arena, Wembley’s Box Office. 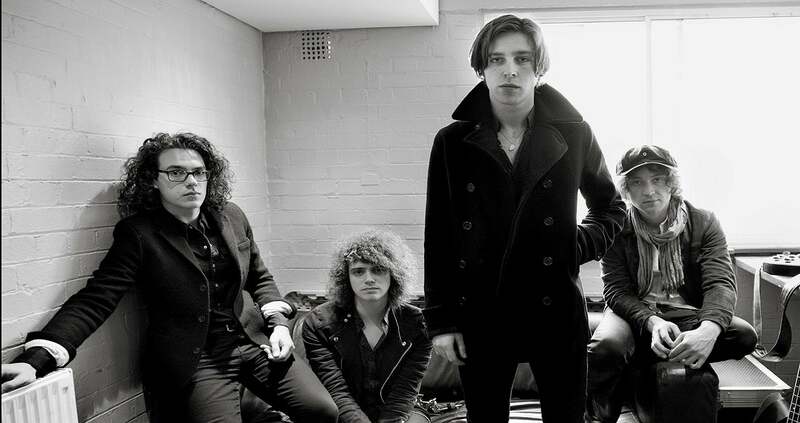 Please note that for [CATFISH AND THE BOTTLEMEN], these Ticket terms and conditions shall take precedence over the Terms and Conditions (including those displayed on hard copy Tickets collected at The SSE Arena, Wembley box office), terms and conditions displayed on axs.com and any other conflicting terms and conditions. A “Ticket” means a ticket (no electronic ticket, wristband or any other device) giving the bearer the right to attend an event. Please check your Tickets upon receipt as mistakes cannot always be rectified. Defacing the Ticket or removing the Ticket stub will invalidate the Ticket. You must produce a valid Ticket to gain entry to the venue identifying you by name and upon request for inspection at any time during the event. Failure to produce the Ticket when requested may result in you being ejected from the venue. For admission into the event, the named lead booker on the Ticket must present [the credit/debit card that was used to purchase the Ticket(s) online]; [and] photographic ID to gain entry to the venue]; [and] the confirmation email showing proof of purchase]. [All members of your party (and within one booking) must enter at the same time as the lead booker in order to access the Event and venue]. Purchase of a Ticket other than via an authorised Ticket agent is grounds for seizure or cancellation of such ticket without refund or other compensation. Authorised Ticket agents of AEG include AXS. Resale, or attempted resale of a Ticket other than via [Twickets] are grounds for seizure or cancellation of such Ticket without refund or other compensation. We may also seize and/or cancel without refund any Ticket purchased using methods generated by a script, macro, ticket bot or through the use of automated devices. In addition, the organiser will appoint its own authorised Ticket agents on an event by event basis. If you are unsure as to whether or not a person offering Tickets for sale is an authorised Ticket agent, please contact our customer service department on customerservices@ssearena.co.uk. Ticket purchases are limited to max 6 per person. Tickets are not issued on a sale or return basis and cannot be cancelled or exchanged after purchase other than in accordance with Terms and Conditions (subject always to these Ticket terms and conditions). We reserve the right to provide alternative seats to those specified on this Ticket where it is not possible to allow you to occupy the specific seat(s) printed on your Tickets. All children (including infants) need a Ticket to enter the event – unless otherwise specified on the event details page. Children under 15 must be accompanied by an adult aged 18 or over within The SSE Arena, Wembley. Children under 16 cannot enter the standing area. Other age restrictions may apply to specific events and are notified at the point of sale. Searching is a condition of entry. We operate compulsory airport-style archway scanners at the venue entrances. For further information on these and for details of prohibited items please see the Terms and Conditions. Animals, with the exception of assistance dogs, are not permitted in The SSE Arena, Wembley. Food and beverages cannot be brought into The SSE Arena, Wembley. The SSE Arena, Wembley is a no smoking venue. Electronic cigarettes may be used in communal areas but must not be used in prohibited areas. There is no re-admission once you have left the venue. There will be no admission to the event before the designated opening times. For some shows latecomers may not be admitted until a suitable break in the performance. Customers are requested to address any specific access requirements in advance of their visit by contacting customerservices@ssearena.co.uk. You must leave The SSE Arena, Wembley quietly and with consideration for our neighbours. The band sees out 2018 with New Year dates in Australia before returning to their committed and ever-growing fan base at home. Being moved to be part of the tour, the standalone Wembley date planned for Fri 2 November 2018 will now take place on Fri 22 February 2019, with original tickets remaining valid for the new date or refunds available at the point of purchase. Pure electricity crackled across the fields of Britain and Europe this summer with Catfish and The Bottlemen’s pulse-quickening, headline festival performances and their own acclaimed open-air shows. Barely pausing for breath, the band announces that they’re staying on the move to maintain their unstoppable ascent with a 6-date UK and Ireland Tour planned for February 2019 including a rescheduling of their existing date at The SSE Arena, Wembley. Admitting to being happily of ‘no fixed abode’ due to near constant touring and recording since the release of their debut album in 2014, McCann leads Johnny Bond (lead guitar), Benji Blakeway (bass) and Bob Hall (drums) into a refreshed campaign, bidding to eclipse their previous, towering acheivements and take the next step as established festival and arena headliners.